Here is a Great Back To School Blog Hop. For those eco friendly fans. Are you trying to be Green? Do you have children going back to school? 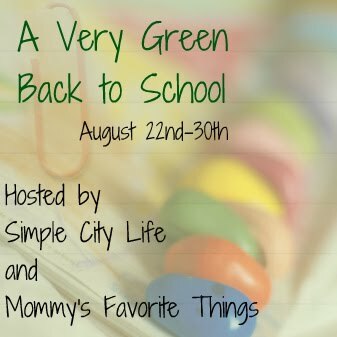 Simple City Life and Mommy's Favorite Things are excited to bring you A Very Green Back to School Giveaway Hop, which runs from August 22nd, 2012 12:01 AM EST to August 30th, 2012 11:59 PM EST and are accepting signups here I believe with all the "Green" changes people are making this will turn out to be a HUGE EVENT!